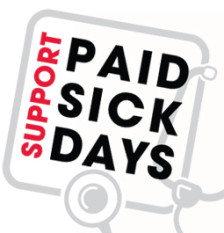 The Seattle Office for Civil Rights (SOCR) has proposed Administrative Rules for the City Paid Sick and Safe Leave Ordinance – you can see them here: http://www.cityofseattle.net/civilrights/SickLeave.htm. Public comment will be taken until Monday, April 30, 2012. Your input will be used to shape the final language of the Rules, which define terms used in the ordinance, and to clarify how SOCR will conduct enforcement. Two community meetings have been scheduled to take comments on the draft Rules. Both meetings are free and open to the public. Thursday, April 12, 8:30-10:30 am. Tuesday, April 17, 3-5 pm. For more information about the meetings, to request language interpretation or an accommodation for a disability, contact Thai Nguyen at 206-684-4514 or thai.nguyen@seattle.gov. If you have general questions about the Ordinance or about the materials available online, please contact Elliott.bronstein@seattle.gov or 206-684-4507. This entry was posted in Paid sick days, Testimony and tagged Bertha Knight Landes, Civil and political rights, seattle, Seattle City Hall. Bookmark the permalink.